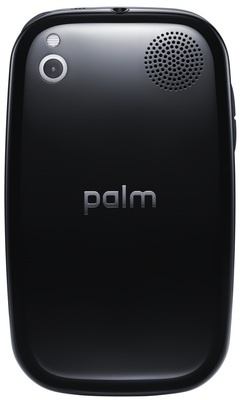 CES Troubled Palm today launched its (hopefully) turnaround product, the Palm Pré, running its new Palm Web OS operating system. But the Pré improves on its rival by adding missing features: a slide down Qwerty microkeyboard, Bluetooth 2.1+EDR with A2DP wireless stereo, and a removable battery. 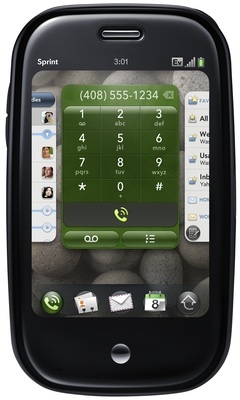 The handset packs in 8GB of Flash storage that appears as a mass storage device when the Pré's connected to a computer through its micro USB slot, which is also used for charging. It can be charged inductively, without cables too. The internet friendly device has 802.11b/g Wi-Fi and EvDO, along with GPS and motion, proximity and ambient light sensors. Round the back there's a three-megapixel camera with an LED flash, plus a speaker. Opening the slider to reveal the keyboard turns the flat tablet into a gently curved, face-fitting design. The hardware's nice but the OS is nicer. 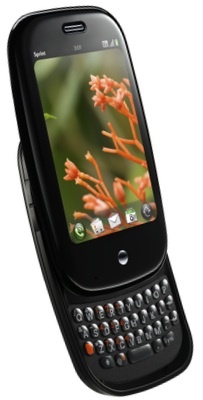 There are all the familiar apps there, given a glossy new look, but Palm's neatly kept it simple, avoiding the window furniture - close boxes, save buttons and so on - that plague other mobile OSes, most notably Windows Mobile. Freshly entered data is automatically stored, and the apps automatically interact under the hood to ensure they're all in harmony and not duplicating data. That includes the online data sources - Facebook, Gmail etc - that the Pré can tap into. Type on the keyboard and it automatically initiates a search that brings up apps, contacts, URLs and so forth, rather like Mac OS X's Spotlight feature does. The browser's Apple-like too too, and uses the same pinch-to-zoom gesture as the iPhone, tap to drag too, double-tap to auto-zoom to column width, and rotate to go into landscape mode. A neat touch: the touch-sensitive area extends below the display so you can still tap and swipe without getting your digits in the way of what's on screen. We also like the way Palm Web OS' gives you info about incoming messages and other events, keeping them at the bottom of the screen so they don't get in the way but you're kept aware that there's something there that requires your attention at some point. No Dismiss buttons are needed. This part of the screen expands with controls relevant to the message or activity - such as mini music player buttons. It's all very impressive - even allowing for Apple fanboys' yells of 'copycat'. The irony is, that Palm's brought more Mac OS X functionality to its mobile OS than Apple has. But it's still going to be dismissed as a 'me too' product. There's nothing Palm demo'd today that was truly revolutionary.